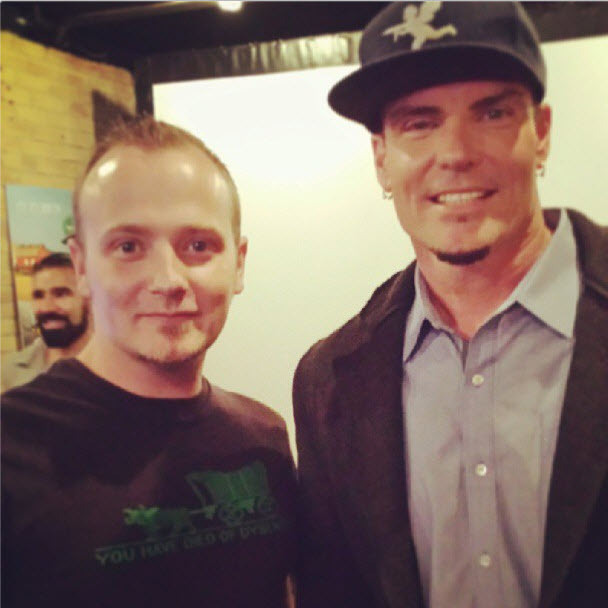 On Tuesday I headed to a special pre-screening of DIY Network’s new show, Vanilla Ice Goes Amish. Yep, that’s a for real show and that’s really the name. I went assuming that I would probably enjoy mocking Vanilla Ice being ridiculous and, hopefully, rapping about the difficulties of Amish life; I left with an appreciation for the Amish people and a new found respect for Mr. Ice and a new show to somewhat guiltily add to my PVR. I arrived at the screening around 6PM and met up with my buddy Jeff who enjoys ridiculous things almost as much as I do, he was wearing an Oregon Trail t-shirt which felt somewhat planned and totally appropriate. We enjoyed some Trius wine and snacks before the show started, prior to seeing the actual show I kind of assumed that Vanilla Ice Goes Amish would be better with at least a minor buzz. Right before the screening started Vanilla Ice himself showed up to introduce the show, and compliment Jeff on his t-shirt, before he sat down to watch it with us; he sat right in front of us and as we were watching the show he provided Jeff, Jesse and I with what was essentially a director’s commentary version of the show. Did you know that the Amish consider zippers a modern convenience? I didn’t; the history of the zipper goes back to 1913 which doesn’t exactly scream modern to me but they’re serious about it and all of their pants have a two flap button system which according to Vanilla Ice, you don’t ever get used to. The show was funny, has a lot of a heart and is a really interesting peak into a society that most of us don’t know much about. Vanilla Ice Goes Amish premieres this Sunday at 10PM on DIY Network Canada, before you brush it off as a totally ridiculous show give it a shot, I wouldn’t be surprised if it becomes your new guilty pleasure. Shannon, that’s a great write up. I feel the same way! 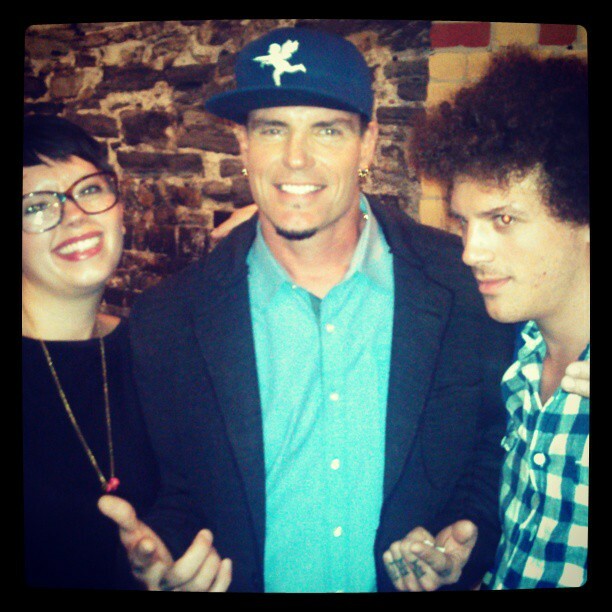 I mean, Vanilla Ice was such a part of my childhood (sic: Ninja Turtles Movie Franchise) that I wanted him to do well. However, I was skeptical, until I laughed and “awww’d” my way through the premiere episode. I kind of want to see what my parents would say when they watch it… HAHA Sunday viewing party! With Apple Pie and Maple Butter. HOLLA!